Medical experts are calling for a regulated use of continuous glucose monitoring system (CGMS), a device that records blood sugar levels throughout the day and night, since some people are abusing the test for profit. An updated national guideline for CGMS use was issued in Shanghai over the weekend. "The price of CGMS test is between 720 (US$114) to 900 yuan in the country," said Dr Jia Weiping, a member of the Diabetes Branch of the Chinese Medical Association. "Some doctors prescribe CGMS unnecessarily for its high price." CGMS is a good way to track blood sugar levels, but it is no replacement for standard blood sugar monitoring. 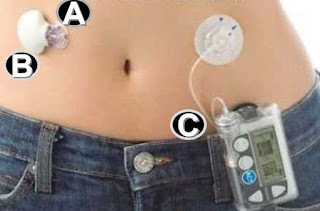 The main advantage of continuous glucose monitoring is that it can help identify fluctuations and trends that would otherwise go unnoticed with standard blood sugar tests and intermittent finger stick measurements. The device can record dangerously low overnight blood sugar levels which often go undetected, and reveal high blood sugar levels between meals to ensure better diagnosis and treatment by doctors. Do doctors in China need to speak English?